Lighting hit close to Boxwood about a week ago. It knocked out multiple electronic devices, among them a wireless access point. 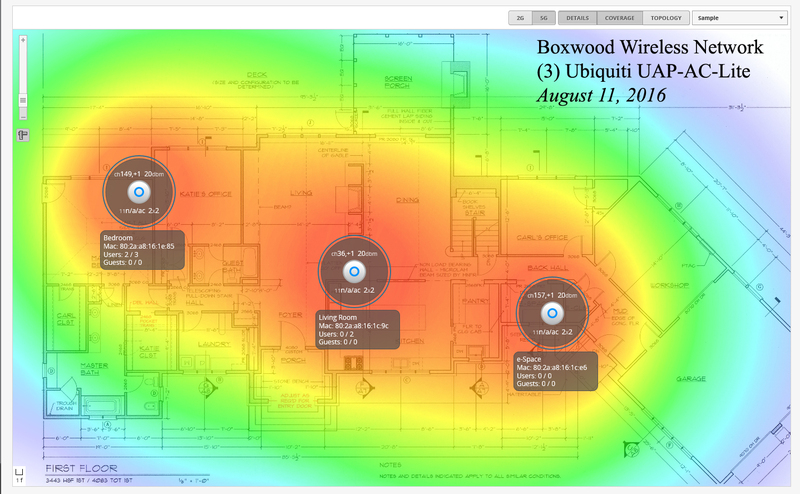 Using this as an excuse to upgrade, 3 new Ubiquiti access points (UniFi AP AC Lite) have now been installed and provide whole-house wireless coverage. The image below was produced by their system support software. Nice WiFi map! Are they operating in the 2.4 GHz band?